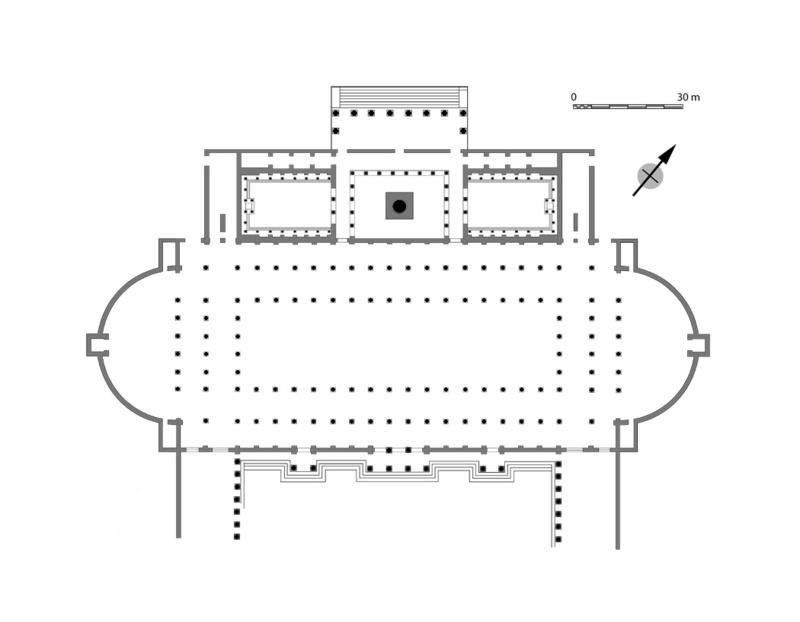 The Column of Trajan is located at the far northwestern end of a set of open forum spaces known today as the “Imperial Fora.” The plan above shows the location of the Column in a colonnaded courtyard placed between flanking libraries and the immense Basilica Ulpia. 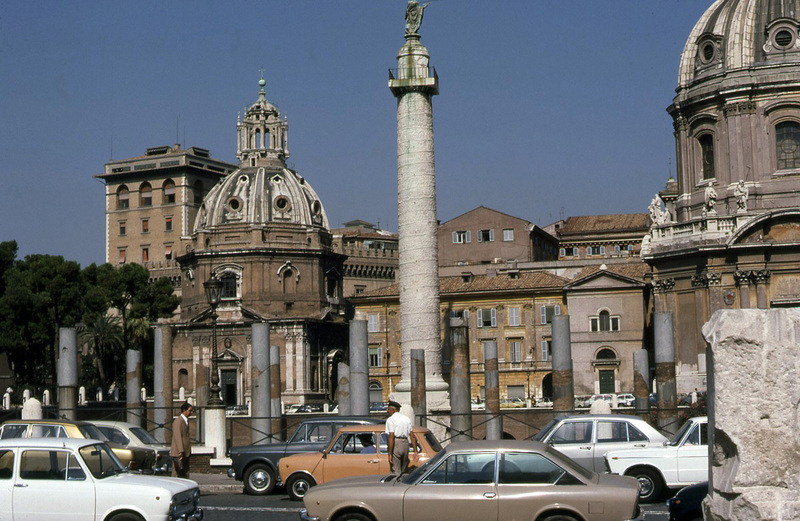 The Column is also visible in the model below behind the Basilica Ulpia of the Forum of Trajan (the forum itself dominates the view in the right center of this image). 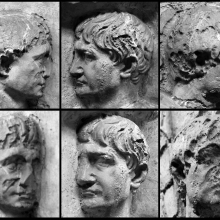 Trajan’s forum complex was started in 107 CE, the same year he celebrated his second victory over the Dacians. 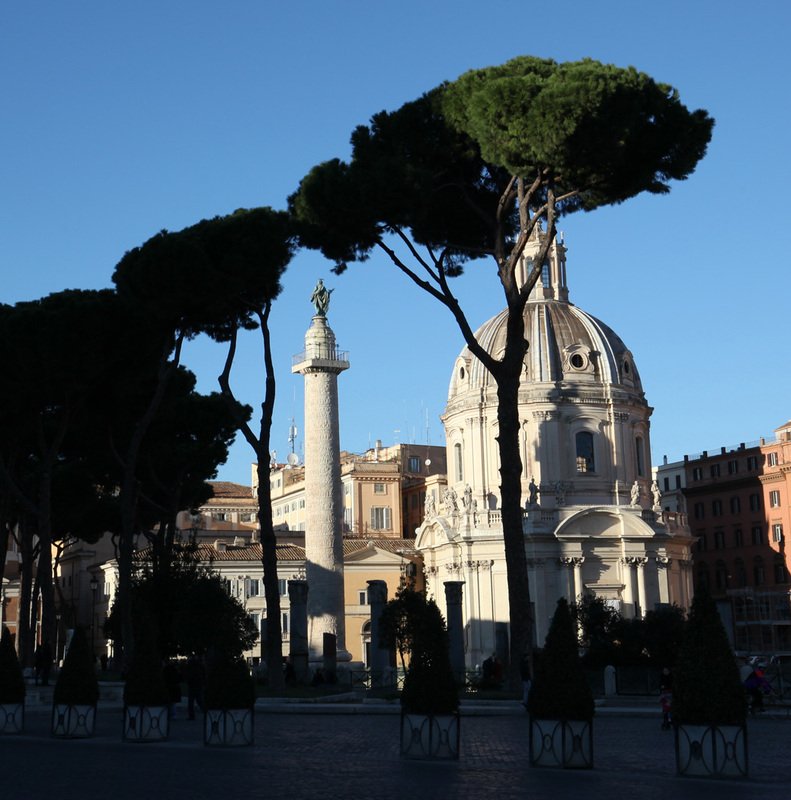 Most of the work was finished by 112; the Column itself was dedicated a year later, in 113. 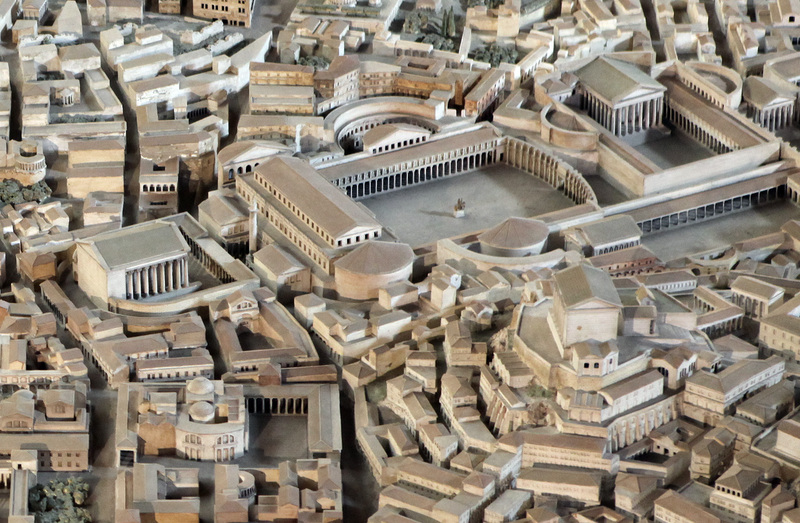 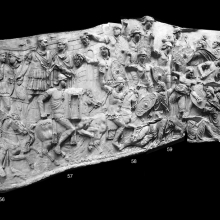 This cropped image above is part of the famous model of Rome in the Museo della Civiltà Romana, located at “EUR” (Esposizione Universale di Roma) in Rome. 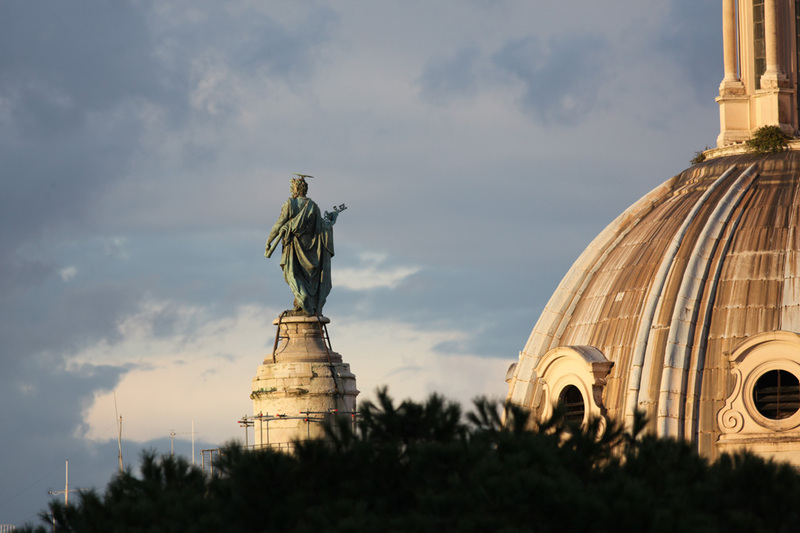 The model itself was started in 1933 under the direction of Italo Gismondi (1887-1974), who drew upon the topographical study of Rome (published as the Forma Urbis) made by the famed Rodolfo Lanciani (1845-1929). 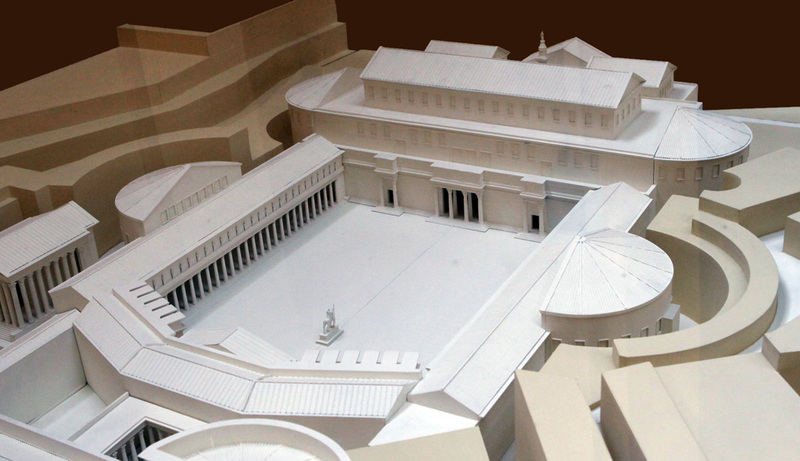 The model, built at 1:250 scale to represent Rome at the time of Constantine, was dedicated when the museum was inaugurated in 1955, although work on the “Plastico” continued for many years afterwards. 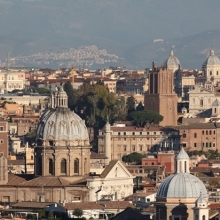 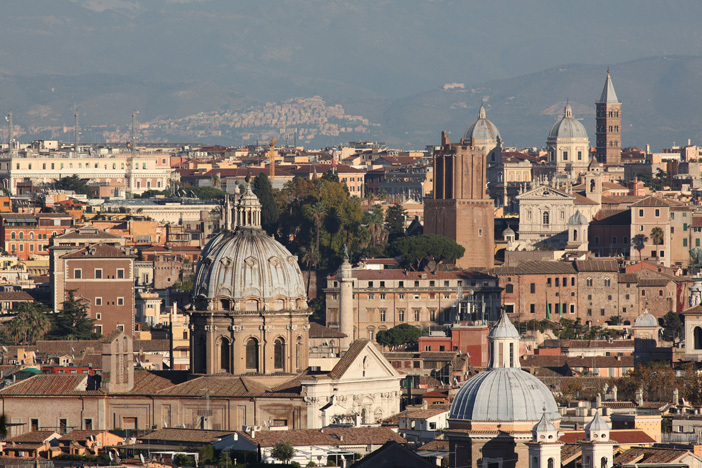 Over the last four decades many specific features of Rome are now interpreted differently, based upon new archaeological discoveries. 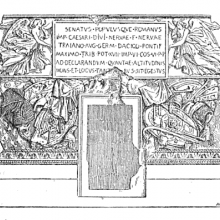 In the view shown here, for example, the existence of the large temple seen to the left of the Column, represented as the shrine built to the deified Trajan, may not in fact have stood in this position. 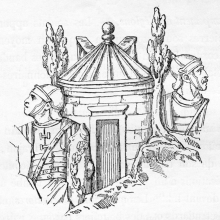 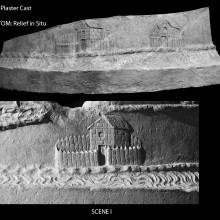 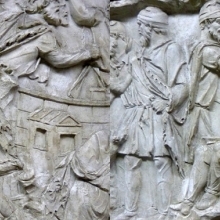 Instead, a monumental gateway may have granted access to the court holding the Column, as depicted in the images included in the gallery below. 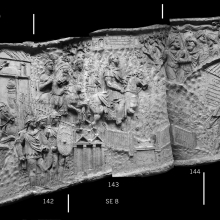 Models and views of the Column in its urban setting. 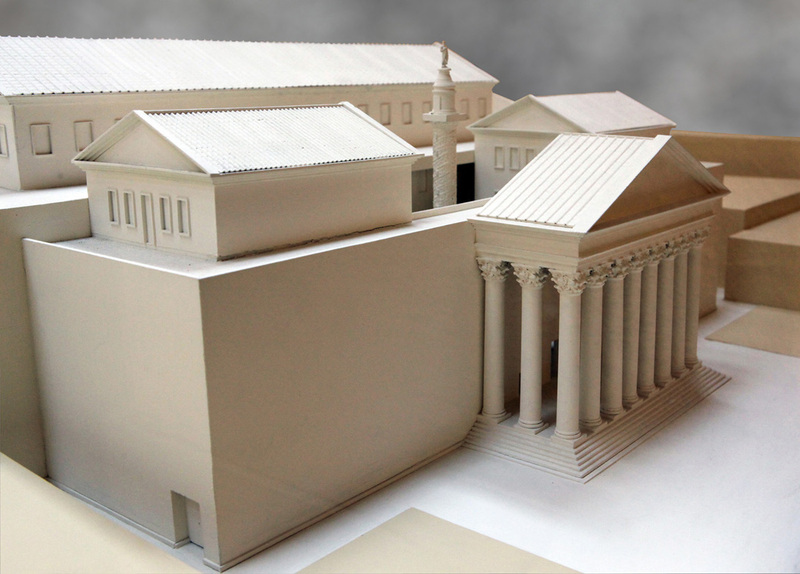 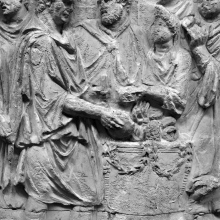 A new model in the Museo della Civiltà Romana shows the north entrance to the Forum of Trajan. 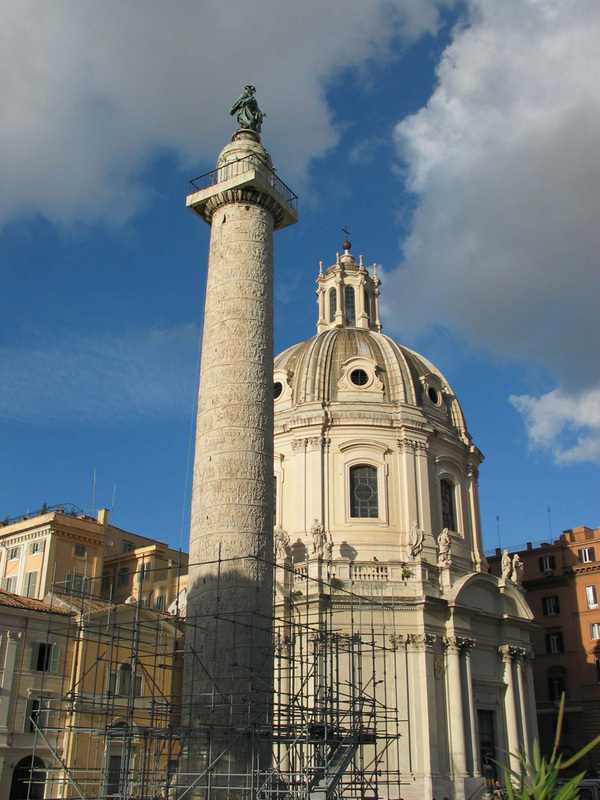 A monumental octastyle porch opens on to a small courtyard which surrounds the Column of Trajan. 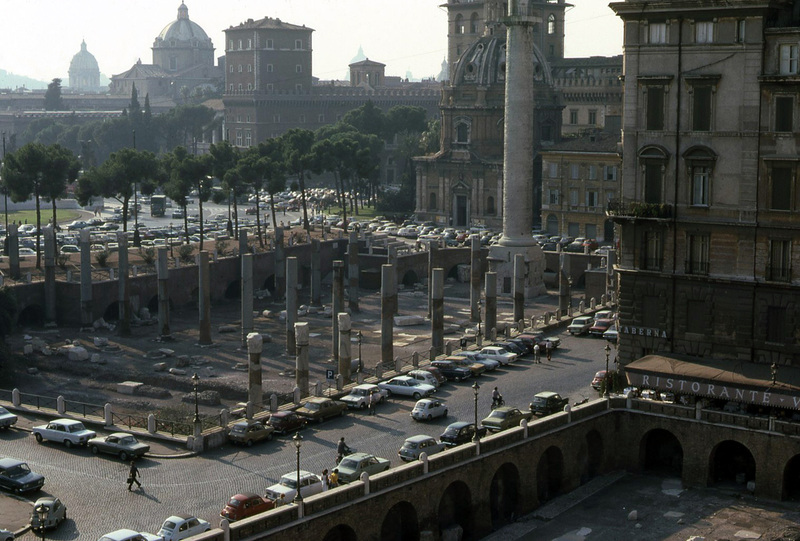 Multi-storied libraries face the Column on the northeast (foreground) and southwest sides. 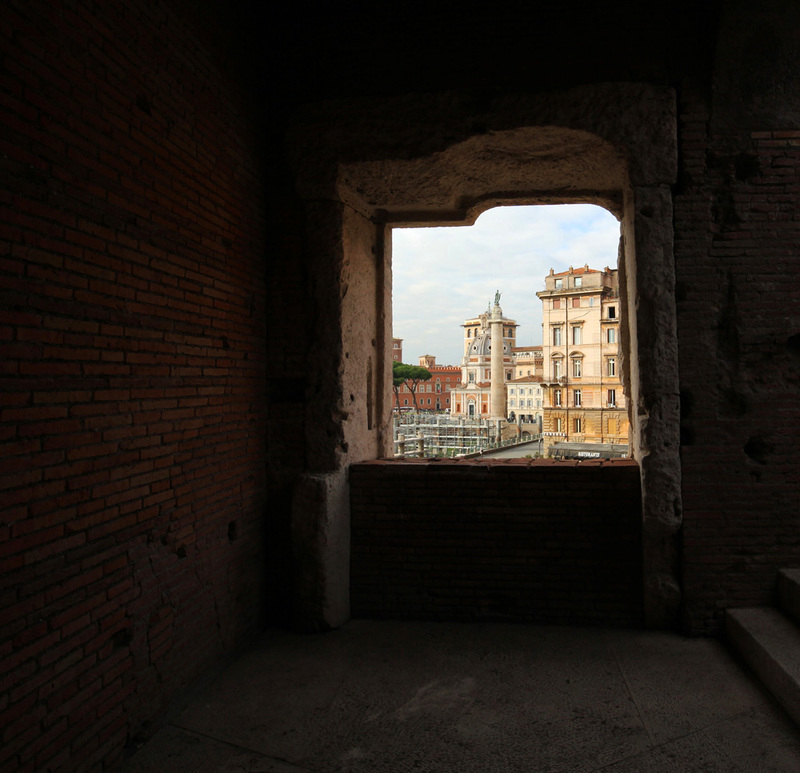 In the background the clerestory level of the Basilica Ulpia is visible.<br />Ref: RBU2012.EUR2[img src=http://www.trajans-column.org/wp-content/flagallery/generalviews/thumbs/thumbs_trajans_column_view239_rbu1997_web.jpg]48100Trajan's Column from the West 1997. 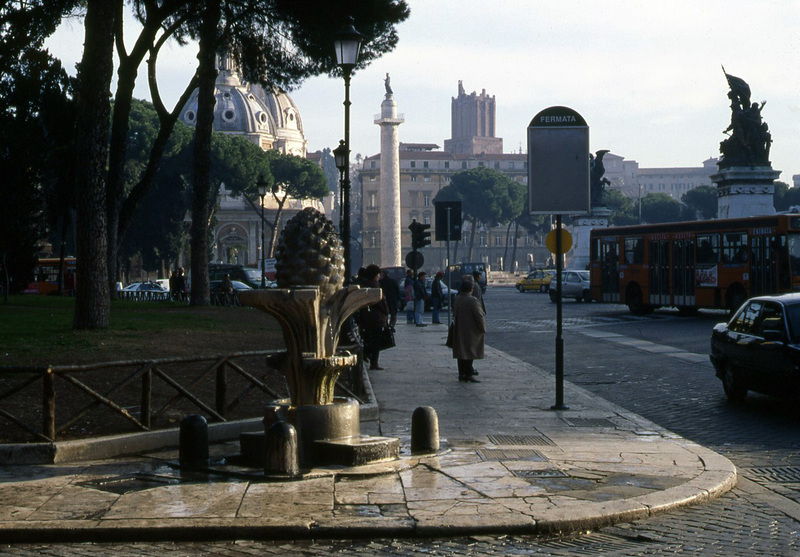 View from the East of the Column of Trajan and the open area of the Forum of Trajan as it appeared in 1974.<br />Ref: RBU1974.245[img src=http://www.trajans-column.org/wp-content/flagallery/generalviews/thumbs/thumbs_6506-column-of-trajan.jpg]6910Column of Trajan from the Markets of Trajan. 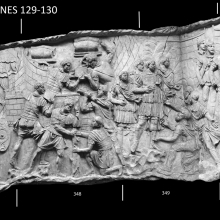 National Geographic (with Art director Fernando Gomez and Animator Hans Weise) has produced an interesting stop-action animation that shows the scheme for lifting the marble drums of the Column into place.